Is Coorg a safe holiday destination after the major landslides that rocked the post-card perfect hill station in south India this August? Going by the developments, Coorg is no more a safe destination as some of the popular hotels and resorts are located on hilltops in the core area of the ecologically sensitive region of the Western Ghats. 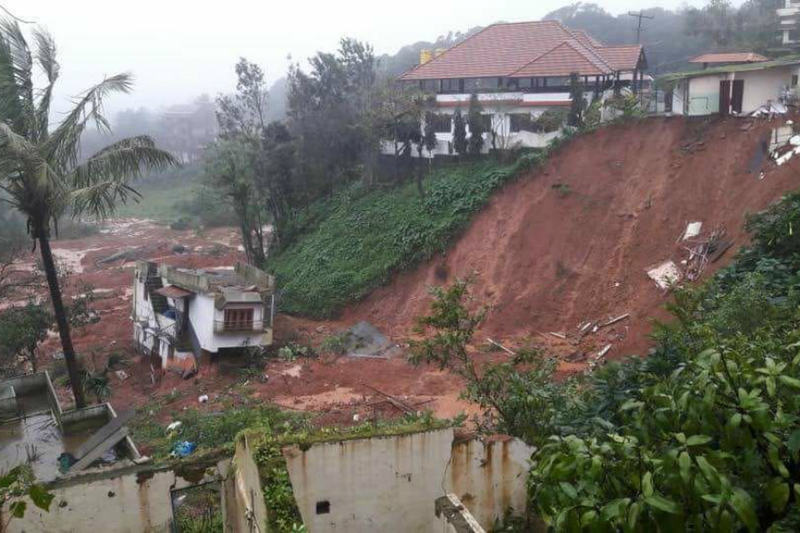 In fact, a major five-star resort near Madikeri run by a reputed hospitality group perched at 4,000 feet above sea level, suffered damages during the landslides. Guests were evacuated on a war-footing and shifted to nearby resorts. But the management of the Group known for its ethical values, denied any damage. This reporter who visited the area last month saw truck loads of construction materials being transported to repair the damage. The reporter spoke to the manager of a nearby golf club who admitted that some of the guests from the resort were moved to his property and many were put up in another five star resort nearby following damages due to landslide. Another resort owned by the daughter of a former Infosys director is also situated in the core area of the Western Ghats. It is not clear how the authorities gave permission for building such a huge resort in an eco-sensitive zone despite protests from neighbouring villagers. There have been allegations of massive violations of environmental laws involving pollution of water bodies and blocking access to village roads by the resort promoters. The concerned authorities should immediately conduct a safety audit of these resorts to prevent loss of lives and further damage to the environment. In the last few years, many luxury resorts have come up on hilltops with swimming pools. This reporter visited a resort near Polibetta on a cliff with a huge swimming pool, said to be the USP of the resort. The Kodagu (Coorg) district administration too has not helped matters by inviting tourists to visit the hill station, even before several highways leading to Coorg have been opened for heavy traffic. It is said a large number of illegal homestays are located on hilly terrain, mostly run by businessmen from Kerala. Several landslides have occurred in these areas as the soil lost its stability due to use of earthmovers for forming roads and drilling borewells. The major violations of environmental laws could not have happened without the knowledge of successive district administrations, said to be controlled by the Kerala timber mafia. Coorg which has a population of around 5.5 lakhs, saw an estmated two million tourists in the first half of this year. The civic infrastructure in the tiny hill district is not adequate to withstand such a huge flow of tourist traffic.